Home / / World tennis stars supported Varna Free University "Chernorizets Hrabar"
World tennis stars supported Varna Free University "Chernorizets Hrabar"
Star players and guests of the ATP 250 series - "Sofia Open 2019", put on T-shirts of Varna Free University "Chernorizets Hrabar"and supported the opportunities offered by the university for education for athletes. The star team included the Pakistani Aisam-ul-Haq Qureshi, the Mexican Santiago Gonzalez and the Bulgarians who play in pair Aleksandar Lazarov and Aleksandar Donski. Qureshi plays in a pair with Grigor Dimitrov. The Pakistani is former No. 8 in the dueling ATP ranking and has 11 titles in his career in pairs. The young Bulgarian hope Aleksandar Lazarov played today with Fernando Verdasco, who was placed under No. 6 in the main scheme. 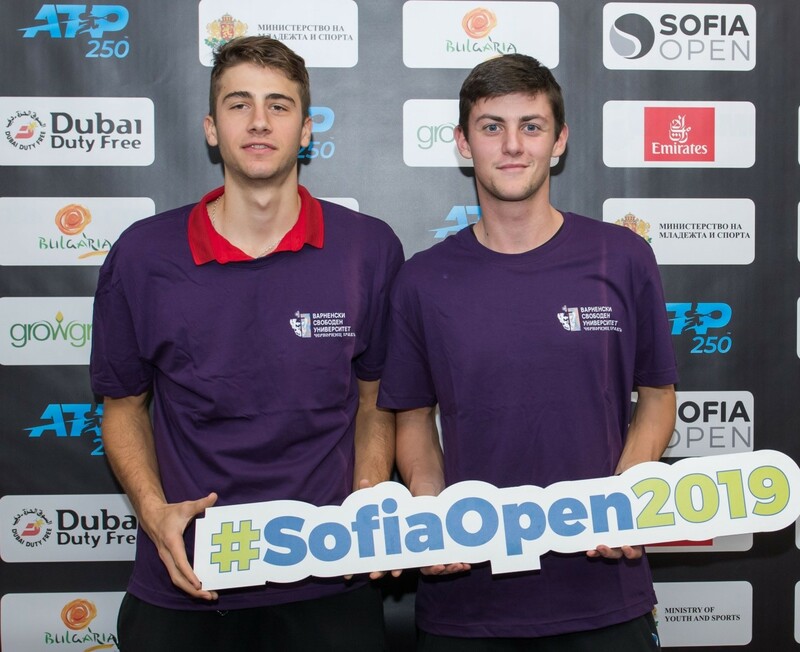 Lazarov performed very successfully at "Sofia Open 2019" and scored two victories in the qualifications - against Lukáš Lacko and Luca Vanni. 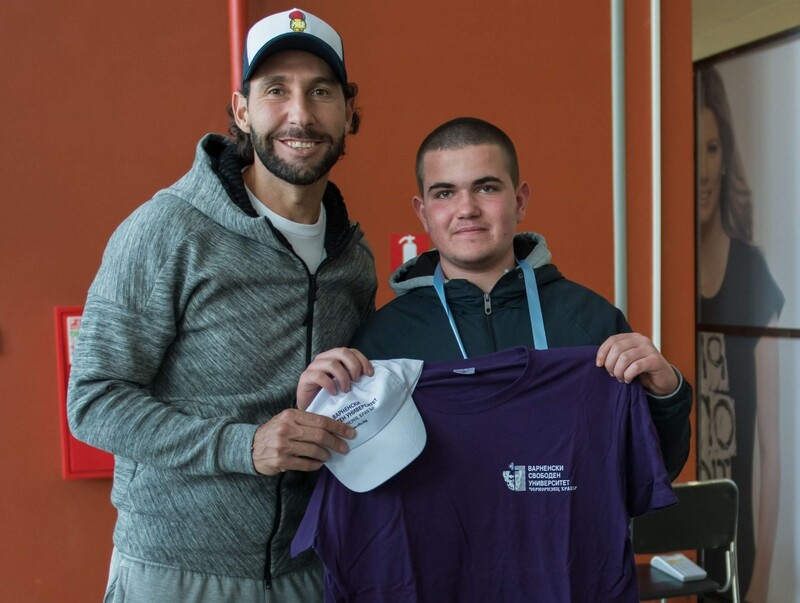 Shortly before the match with Lazarov, Verdasco received an outfit with the logo of VFU "Chernorizets Hrabar". 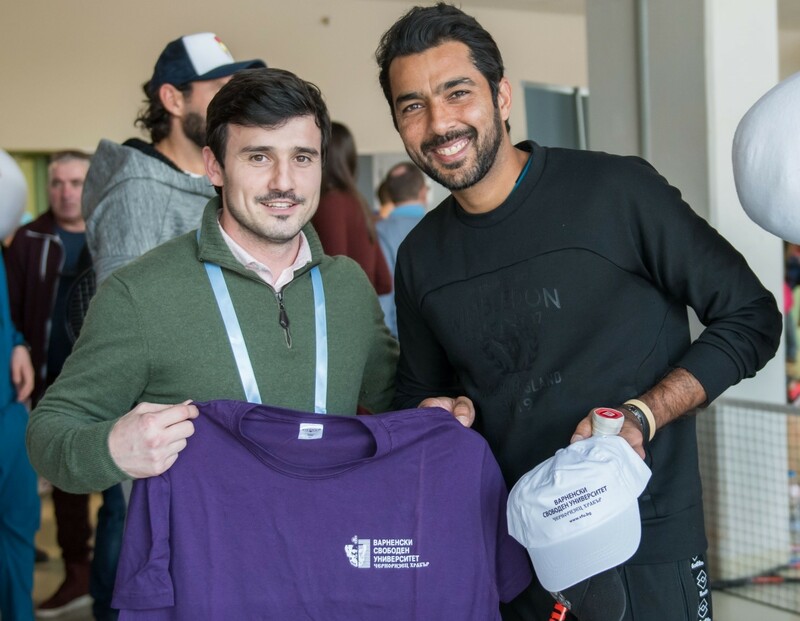 The tennis stars support the opportunities for education that Varna Free University offers to active and end-of-career athletes. The university teams up with sports federations and clubs and started enrolling for the bachelor's degree and master's degree programme in Sports Management in a distance learning mode. The education will provide the athletes with a sustainable and successful professional realization. The distance learning mode provides training from anywhere in the world, at a time convenient for the athletes who can learn according to their work load and schedule.